This shower enclosure in the DeSteffano home from Homearama features the most frameless look possible. Proper planning and creative design allows the two 3/8” clear glass panels to appear to float on the shower surface. The fastening system is actually installed within the tile making it invisible in the shower space. The designer of this bathroom elected to leave the door space open to give an unobstructed entry into the main focal point of the room, the large welcoming shower. When fantasizing about the bathroom of your dreams, most people likely start with the shower. You know exactly how you want the space to look and how you want it to make you feel. The shower is the heart of the bathroom, where you reset each morning, preparing to face the day. 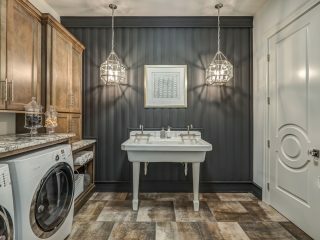 When the shower is bad, it can make you hate your bathroom (and your mornings), but when a shower has all of those design elements and luxuries that you dream of, a bathroom can go beyond the standard four walls and plumbing and become an oasis of relaxation. “The shower design itself is a key driver for most bathroom remodels,” said Greg Weyman, vice president of marketing for Basco Shower Enclosures, a leading shower enclosure manufacturer. For more than 50 years Basco has been an innovative leader in the shower enclosure industry, and in that time, the company has been able to pick up on the latest trends that captivate the hearts of homeowners and problems that plague some customers after their project is complete. This shower enclosure in the bathroom of the Leland Group home at Homearama features unique angles that show off the Vonse Shower Enclosure with multiple panels of 3/8” glass and Brushed Nickel framing. 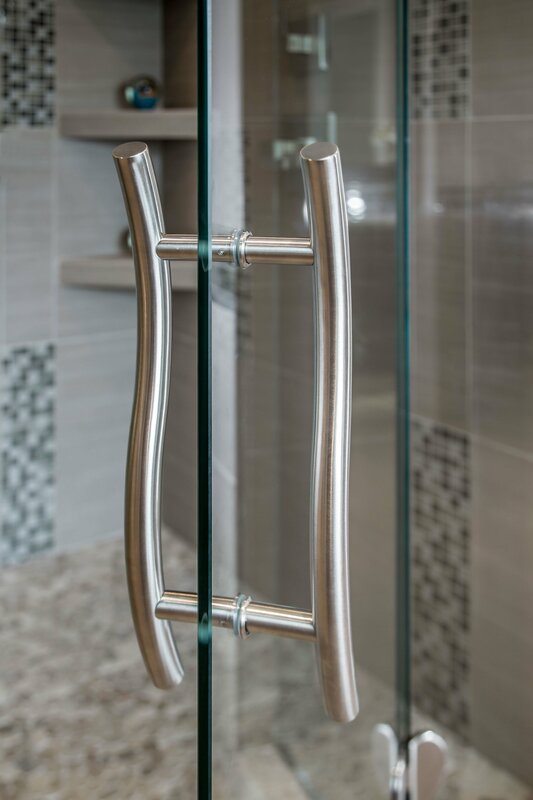 The artistic curves of the handle and hinges complement the high end feel of the spacious shower. One of the biggest mistakes homeowners make when designing their bathroom is putting off the shower enclosure decisions until the end of the project. 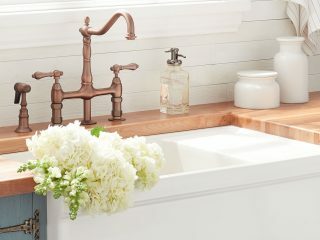 “The tile, hardware and fixtures are where most people start and tend to spend the majority of the budget within the shower,” Weyman said. And even though the shower is the catalyst for most bathroom renovations, the new shower enclosure itself can be the last on the list of what goes into the bathroom. However, the shower enclosure is actually that subtle luxury that showcases those elements of personal style and interior design. 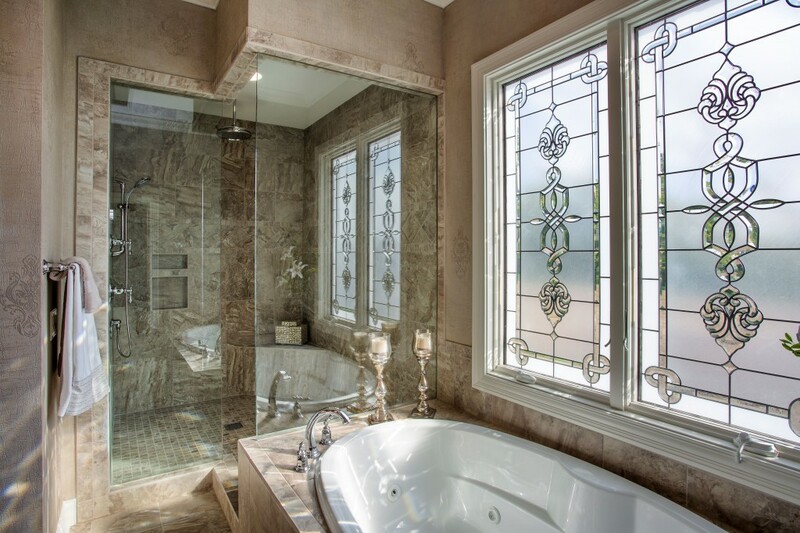 “Frameless heavy glass enclosures are a huge design trend because they give the bathroom that spacious, luxury spa-like feeling that homeowners want,” Weyman said. To help homeowners understand their choices in shower enclosures, Basco has created a series of videos to help guide consumers into the right frame of mind for what they need to consider when choosing the shower enclosure for their new bathroom. What factors should be a part of your choice? Basco says a good shower enclosure should look like it is a part of the home, like it was custom made to be in that specific room, not just plucked from a catalogue and placed there. Price is important, but homeowners should really be looking at the long-term value. Should you DIY or hire a professional? It depends on the type of shower enclosure you choose and how custom you want to go with it, Basco says. The more custom options and intricacies an enclosure has, the more likely it is you should utilize a factory-trained professional. Which is best: framed or frameless? 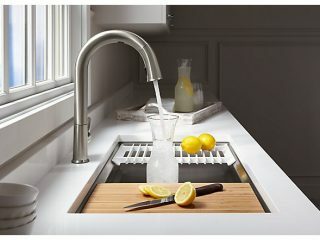 The answer depends on the type of look you are going for, how thick or heavy the glass is that you want to use and the size and shape of your opening. Framed options are more forgiving in measurements and installation, but won’t give you a completely custom look like a frameless enclosure might. 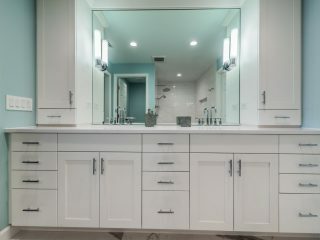 For more information about the latest in bathroom trends, glass shower enclosure choices and options, please visit bascoshowerdoor.com or rodabybasco.com.